The Wheel Specialist™ franchise opportunity is your chance to own a business capable of hitting the ground running from the day you start. The Wheel Specialist’s target market is vast; anyone with a vehicle or that is part of the automotive industry are potential customers. With the network receiving literally £1,000,000`s worth of quotes a month a combination of hard work and commitment plus our expertise and help, you could develop your franchise into a very profitable business. Optimise both public and trade allowing you flexibility for market and economic changes. With little competition, few employees and high margins and over 152 million other reasons, The Wheel Specialist franchise opportunity could be the one for you. This is your chance to join a unique and successful franchise business so please take 5 minutes to read this page – it may be the best 5 minutes you ever spent! We will only take on a limited number of franchisees each year, as we want to give each one our full support, so a quick response from you is necessary if you are still interested when you get to the end of this page. According to the Department For Transport there are about 38 million cars on the road in the UK and statistics suggest that 90% of cars are driving around with some form of damage to their alloys. The market for ‘quality’ alloy wheel refurbishment is in high demand, with over 152 million alloy wheels in the UK and counting. We receive hundreds of enquiries a week from all over the UK so we need franchisees NOW to help service this demand. These customers want the convenience and peace of mind of a local service and this is the reason we are now dedicated to finding the right franchisees to work with us. We need you to join us and help to roll out our unique and compelling proposition to the nation. Our unique proposition of price and quality is why the general car owning public and the auto trade want what The Wheel Specialist™ has to offer. There is little serious competition out there but lots of pent-up demand. The Wheel Specialist™ operates from fixed premises. This means we can offer a ‘complete’ alloy wheel refurbishment service, of the whole wheel, turned around in the same day and for the same price as a cosmetic touch-up. We give wheels a complete makeover, offering a wide range of finishes to satisfy just about any requirement. Our paint finish has a durability of the highest standard and is guaranteed for 12 months. Using in house diamond cutting lathes we can offer rapid turnaround times whilst still providing superb results. We also offer additional services and products, such as the supply and fitting tyres, TPMS, wheel straightening, wheel wax etc. and are constantly looking at ways to introduce additional income streams. Put simply, no mobile operator can offer this level of quality and service. By having the latest equipment and machinery based from a central location within your territory you can work efficiently and maximise the return on your investment by servicing trade and public alike. You can scale up productivity and increase your earning potential in ways that would never be possible if you operated from a mobile unit alone. Importantly, we’ll teach you everything you need to know to achieve high levels of financial success. The Wheel Specialist™ is a unique and exciting franchise if you want to own and manage your own successful business but also want the security of an experienced and successful team behind you. With 35 years experience in alloy wheel refurbishment we can give you the level of support you want, but we will expect a lot back from you! Have a smart appearance and good interpersonal skills and the ability to relate to people from all walks of life. You must have the drive, desire and ambition to achieve success, offering top quality workmanship, value for money and excellent customer service. Your own exclusive territory – and exclusive means ‘exclusive’! We have devised our franchise programme to deliver exactly what you need when you need it. 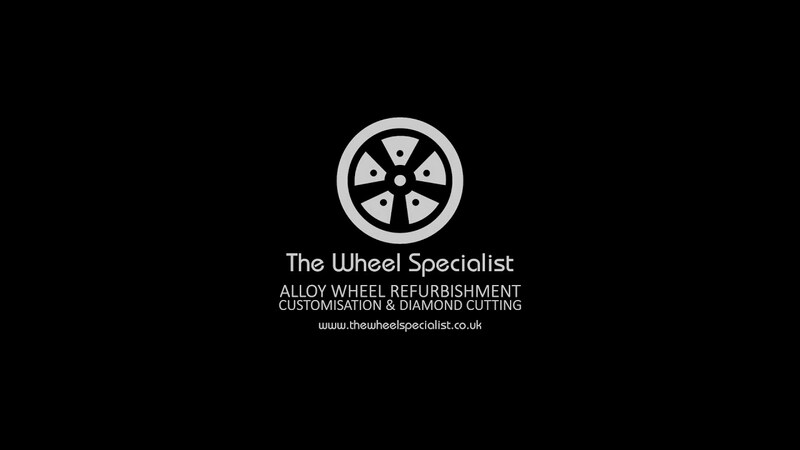 You will own and manage your alloy wheel refurbishment company which will operate from fixed premises. Your role will be varied and will range from ‘mucking in’ with your team to get the job done, through to meeting with local businesses in the auto trade to promote your service to possibly running your own multi-territory business. You will need a team of employees who will carry out the wheel refurbishment service (we will help you recruit and train them), while your role will be to develop your business, with our help and ongoing support. As a franchisee with The Wheel Specialist™ it’s important for you to understand the wheel refurbishment process. Although it’s unlikely you’ll be doing the refurbishment yourself (unless you want to! ), there may be times when you need to ‘muck in’ to help get the job done. We will teach you all you need to know about the process and the technical side of alloy wheel refurbishment. You will get a sense of pride and job satisfaction not only from building a successful business but from the inter reaction you get with the trade and public. Your customers will be delighted from the service you offer. Our sales and marketing strategies are so well developed that you will get a steady stream of leads from us from day one. We invest a great deal into our online marketing strategy and this will continue to feed you leads for as long as you are in partnership with us. A high proportion of your customers will find you via our website: www.thewheelspecialist.co.uk, which will automatically direct customers to their nearest franchisee and provides them with an instant on line quote, so many leads will find you without you even trying (even while you’re asleep!). We have many proven methods to help you generate new customers. These techniques are continually tested, reviewed and refined to ensure their effectiveness. After a while your business will start to grow even more through referrals as customers start to tell their family, friends and colleagues about you. Join The Wheel Specialist™ NOW for just £44,997 + VAT and become an important part of one of the most exclusive and best supported franchise businesses available. In addition to the franchise fee you will need approximately £40-100k for the initial set-up depending on your lending status. We will give you a full breakdown of set-up costs and income projections. Remember that this business can give a rapid return on investment. Finance of up to 70% available, subject to approval. What’s Your Earning Potential As A Franchisee? To see more details on your earning potential please download the Franchisee Information as outlined below. This document has financial information that will help you to measure the size of this fantastic business opportunity. Once you have read the document and feel that you want to know more then please call the number below to arrange for a telephone appointment where we will answer your questions. We will also be able to take you through detailed financial projections to help you to take your first steps to future business success. So let’s go for it!!! Act NOW – remember only a limited number of franchisee opportunities are available, as we are dedicated to giving each one the highest levels of support. Please be absolutely clear that the onus now lies 100% with YOU to make a decision and take action! This is not a hard sell franchise and we will not spend time chasing you or trying to convince you. We believe strongly in our proposition and if you share our vision and want to be financially successful then we want to hear from you. But you have to make that first telephone call – so what are you waiting for? We look forward to welcoming you to our growing network of successful franchisees. P.S. The sooner you contact us, the sooner you can take your first steps to financial success. P.P.S. If you’re serious about changing your lifestyle and earning a high income by running your own business, then you can’t afford not to investigate this opportunity further. Doing so will cost you nothing but a bit of your time – go on, pick up the phone and call, I promise you won’t regret it!